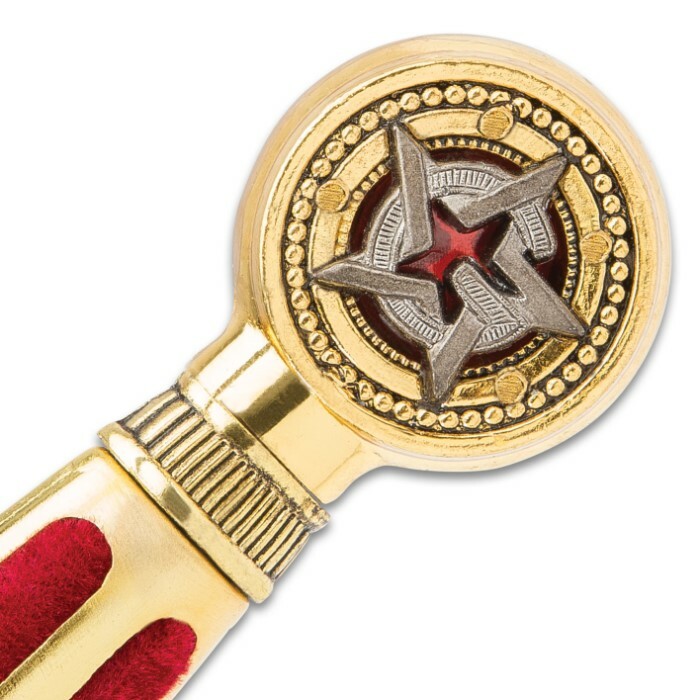 Strikingly detailed and designed with ceremonial use in mind, our Classic Masonic Dagger is loaded with style. 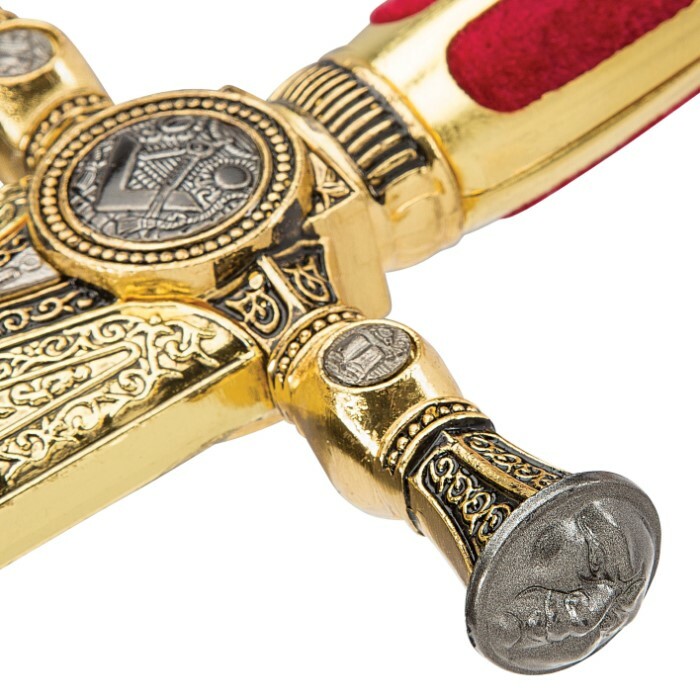 The cast metal guard and fittings have an antiqued gold finish and feature Freemason engravings and symbols. Red velvet handle scales beautifully accent this piece. 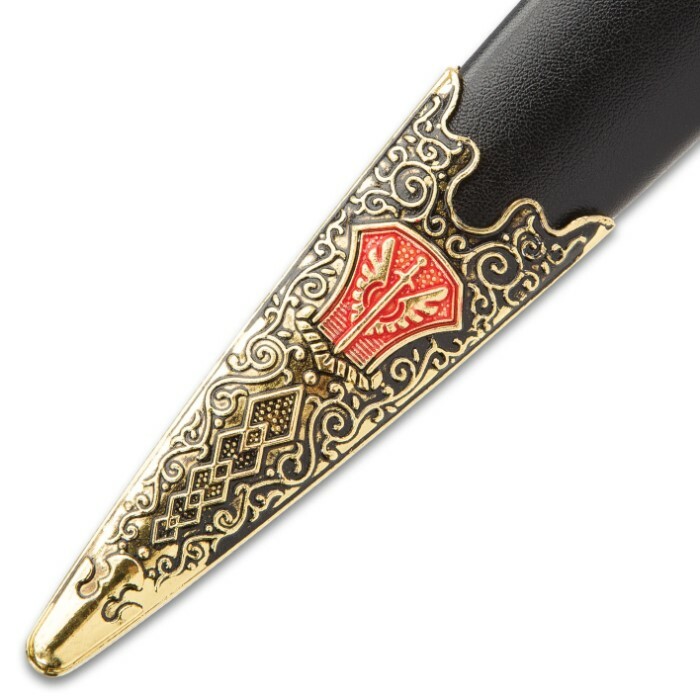 A wooden scabbard is included with matching metal fittings, and the blade is crafted from polished 440 stainless steel. Measurements: 13 in. blade, 21 in. overall. This dagger was not sharp at all. 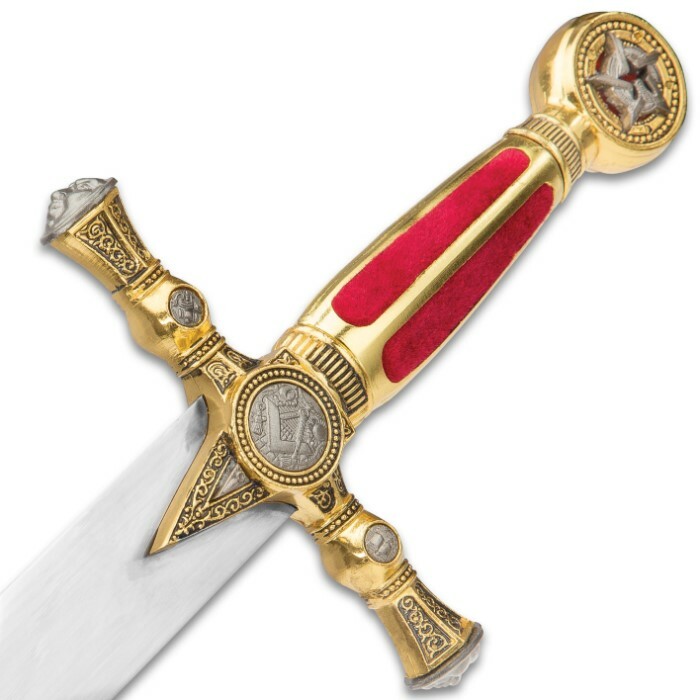 This dagger is amazing! It's bigger than I thought it would be. It's not sharp, it's definitely more for design, but it's so beautiful. I bought it for my dad for his birthday, he is going to be so excited!! I can't believe the quality of this blade for the price...I am blown away!! It looks really cool but it's a pretty dull blade. 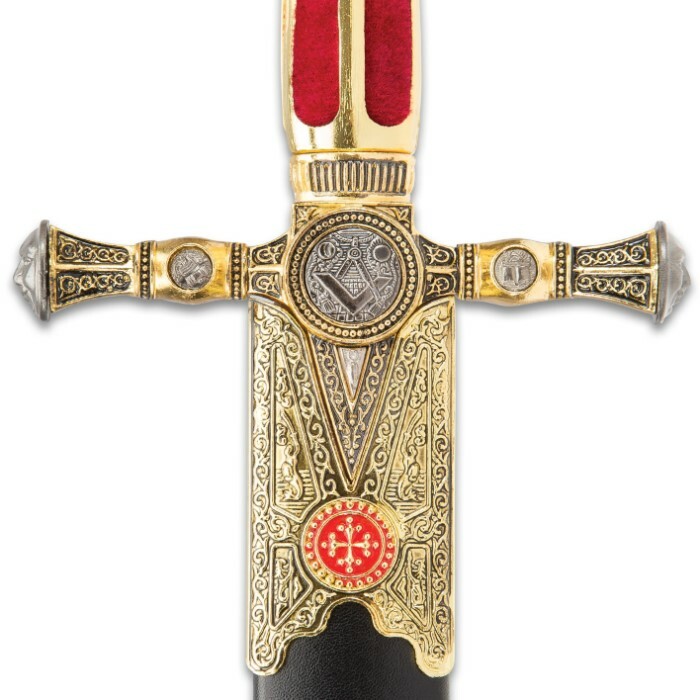 Awesome display dagger,better than expected,the jewel of my collection ! I purchased three of these and cannot express how beautiful they are. Heavy weight, detail is clean, just all in all this was a great deal. I know the three men who are getting these will be very impressed. 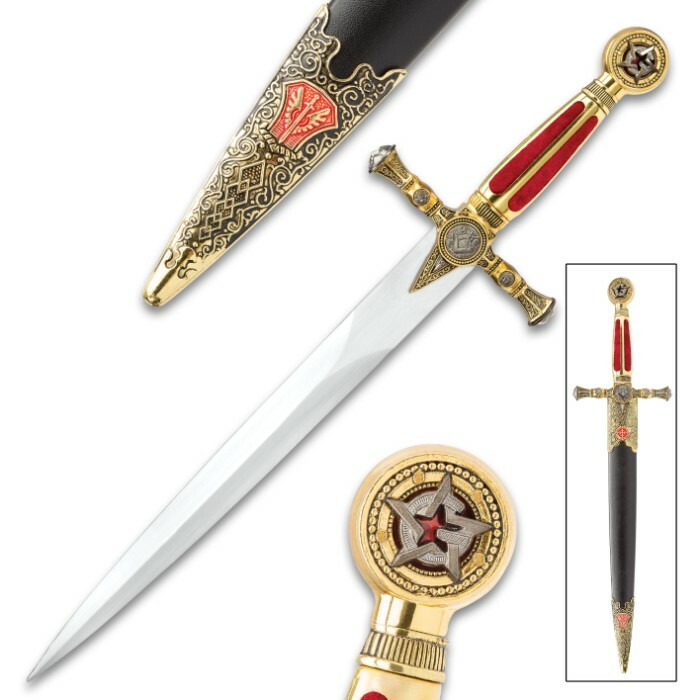 Very nice dagger.